This study combines a description of the development of Chomsky's theory of linguistics with a satirical account of some of the debates to which it has given rise. It explains how Chomsky's theory fits into the wider study of language, his beliefs about language and mind, and the relation between his linguistic ideas and philosophy, mathematics and the natural sciences. 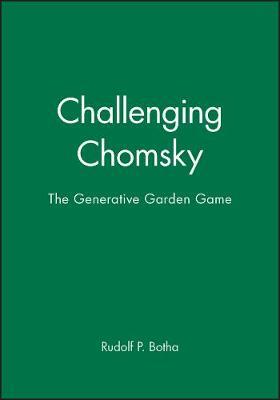 The satirical part of the book describes the challenges to Chomsky's ideas in the context of a metaphorical maze.